The Center for Advocacy and Dispute Resolution promotes scholarship and professional development and offers strategic consultation in the areas of advocacy and dispute resolution. 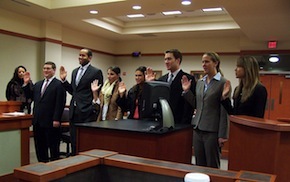 The center supervises the academic and administrative direction of Emory's Kessler-Eidson Program for Trial Techniques, which develops the advocacy skills of second- and third-year law students. The center also hosts applied research forums and conferences that elevate advocacy and dispute resolution through the examination of theory and application in case studies. The center maintains an Online Advocacy Skills Center that includes an advanced searchable archive of advocacy videos and materials designed to assist lawyers and advocates in their professional development in the areas of public speaking, trial advocacy, negotiations, and dispute resolution. The Online Advocacy Skills Center also lists Continuing Legal Education programs sponsored by the Center for Advocacy and Dispute Resolution. The center's consultation mission is directed through two applied research projects. The Rule of Law Reform Project consults with governments and NGOs in developing nations to formulate and implement practical and lasting solutions to chronic injustices. The Consensus Project consults with state and local governments, faith-based and civic organizations, and civil rights and grassroots groups throughout the United States to develop and implement transformative solutions to conflicts arising out of the design and management of public policy formation and implementation processes. Bradford Kessler is one of Missouri’s preeminent criminal defense attorneys. In over thirty-years of practice, Mr. Kessler has tried over 400 felony cases to verdict, including over twenty-five death penalty cases. 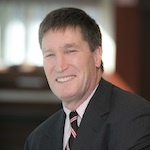 He has taught at the Kessler-Eidson Program for Trial Techniques since 1997 and has been a fellow of the Center for Advocacy and Dispute Resolution since 2010. In that capacity, he has taught judges, lawyers, and law students in Mexico and Russia, and has trained Chinese judges and law students from both Hong Kong and mainland China in Atlanta. 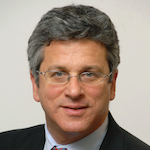 Alex Barney became the first fellow of the Center for Advocacy and Dispute Resolution in 2008, when he helped to develop and run the Center’s USAID-funded project in Mexico City. He received his BA from Swarthmore College and is a 2008 graduate of the University of Southern California Gould School of Law. Alex’s work as a Center for Advocacy fellow has included teaching as a visiting faculty member at Universidad Panamericana in Mexico City, serving as a Carter Center election monitor in Lebanon, and teaching in legal education programs in Liberia and Russia. Since 2010, he has worked at the Karmel Law Firm in Chicago, a union-side labor and employment law firm. The Online Advocacy Skills Center is comprised of an archive of advocacy videos and materials designed to assist lawyers and advocates in their professional development in the areas of public speaking, trial advocacy, negotiations, and dispute resolution. The Rule of Law Reform Project (RLRP) studies the challenges related to the implementation of rule-of-law reform in post-conflict and developing nations. Rule-of-law reforms have been a part of aid and development programs for the past several decades. As one noted writer has indicated, rule of law thinking is a necessary component in any discussion of foreign policy. The UN has undertaken several large-scale rule-of-law reform projects, the World Bank rates countries based on their perceived level of rule-of-law, and countless other international organizations and actors are involved in the reform process. While this would seem to indicate that rule of law reform is well understood and to some degree formulaic, recent studies have questioned the effectiveness of efforts thus far. A 2006 study by the World Bank identified eleven problems with the implementation of rule-of-law reforms in post-conflict situations, including (1) lack of understanding as to how rule-of-law is actually developed, (2) lack of coordination among the various actors, (3) failure to take into account the local situation and involve local actors, and (4) unwillingness/inability to invest in long-term reform. The Consensus Project consults with state and local governments, faith-based and civic organizations, and civil rights and grassroots groups throughout the United States to develop and implement transformative solutions to conflicts arising out of the design and management of public policy formation and implementation processes. We believe that the best way to achieve an equitable and sustainable society is to promote dialogue, mediation, and collaboration as community engagement processes that further the goals of inclusive democracy and consensus building in the formation and implementation of public policies. The Consensus Project works at the national, regional, and local levels, establishing forums and networking with public policymakers, civil rights advocacy groups, and civic, faith-based, and business leaders to design community engagement solutions that acknowledge the complex interdependence within our society.